All the new announcements from this week's Famitsu. Famitsu this week unveils a quartet of new games: two in the form of PS Vita adventure game ports, the third a new PreCure for 3DS, and the fourth a Sega smartphone hunting game. 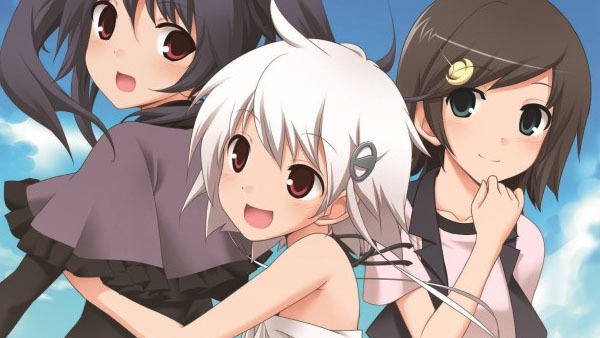 Clochette adventure game Amatsumi Sora ni! Kumo no Hatate ni is coming to PS Vita in Japan this summer. It’s a port of the 2012-released PSP version and features high-resolution graphics. Blank Note adventure game Himawari: Pebble in the Sky is coming to PS Vita in Japan this summer. The PS Vita version uses the 2010-released PSP version as its base and features completely new character designs by Yousai Kuuchuu. Bandai Namco has announced Princess PreCure: Sugar Kingdom and the Six Princesses, a 3DS puzzle game based on the TV anime Go! Princess PreCure, due out in Japan on July 30 for 4,740 yen. The games sees gummys spread all over the screen, with players only able to move one at a time to line up, and thus erase, three of the same gummys in a row. Clearing stages will award you with stickers. Development is currently 60 percent complete. Sega announced Monster Gear, a free-to-play smartphone “hunting action” game (with micro-transactions) coming to smartphones in Japan next month. The game lets up to four players come together to fight. A single mission takes about five minutes. Its simple controls allow for single-hand play, with “Attack,” “Guard,” and “Special Pair Attack” making up its three basic operations. Hunter weapons available to players include the large sword, lance, pair sword, hammer, and bow. Thanks, Hachima Kikou (2, 3).